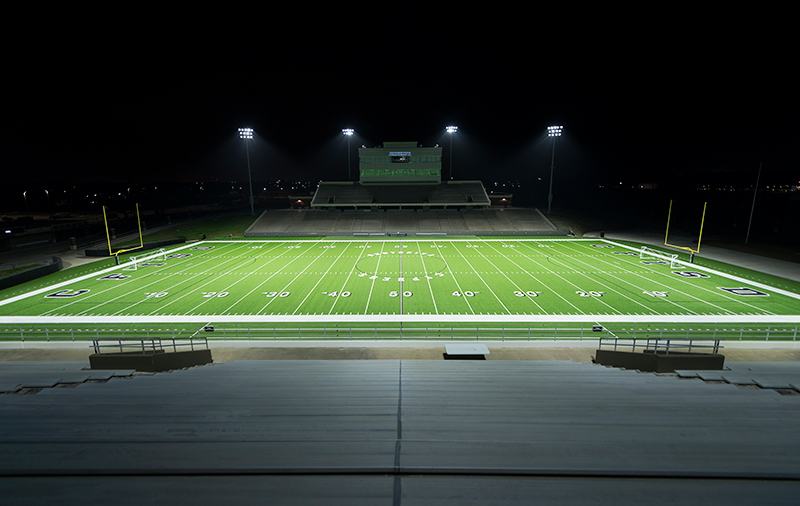 “When you look at all the long-term investments, especially in energy savings, you’re looking at a great product in Musco. Looking back, that’s one of the greatest advantages that we’ve had with Musco. We have an average maintained footcandle higher than anyone that I know. And that’s something to boast about. You could host ESPN games out here." 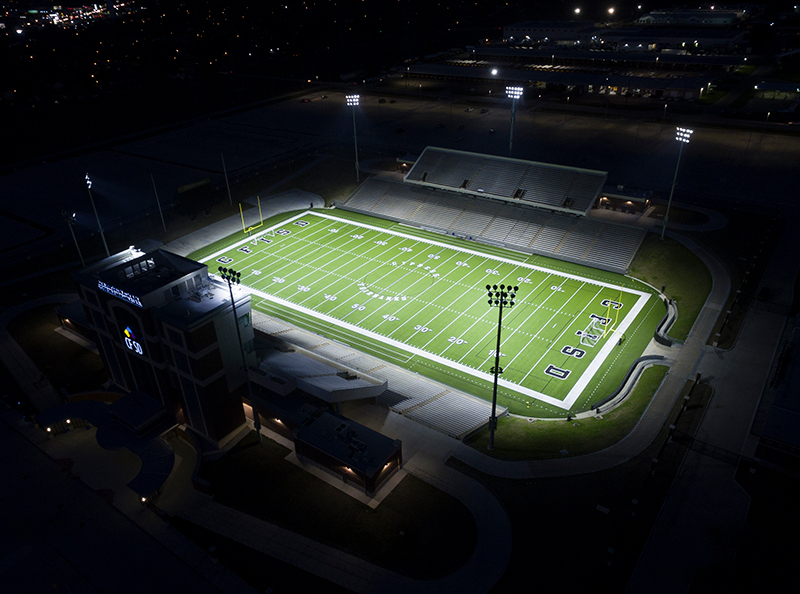 Ken Pridgeon Stadium in Houston, Texas, serves as one of two home football stadiums for the Cypress-Fairbanks Independent School District (CFISD). 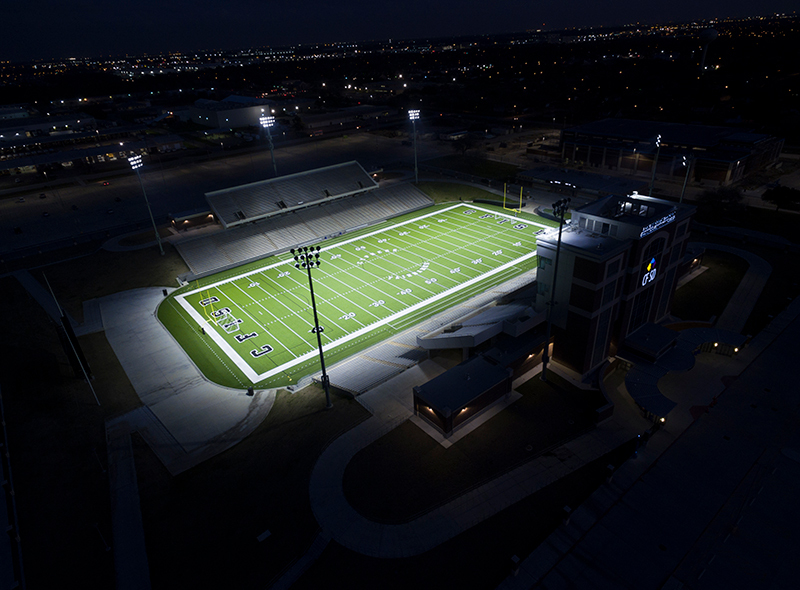 As part of a $40-million renovation project to the stadium, school district leaders decided to install a new LED lighting system as a way to improve the quality of on-field lighting and eliminate the frequent maintenance issues that the existing system presented, while also improving energy efficiency and reducing operating costs. 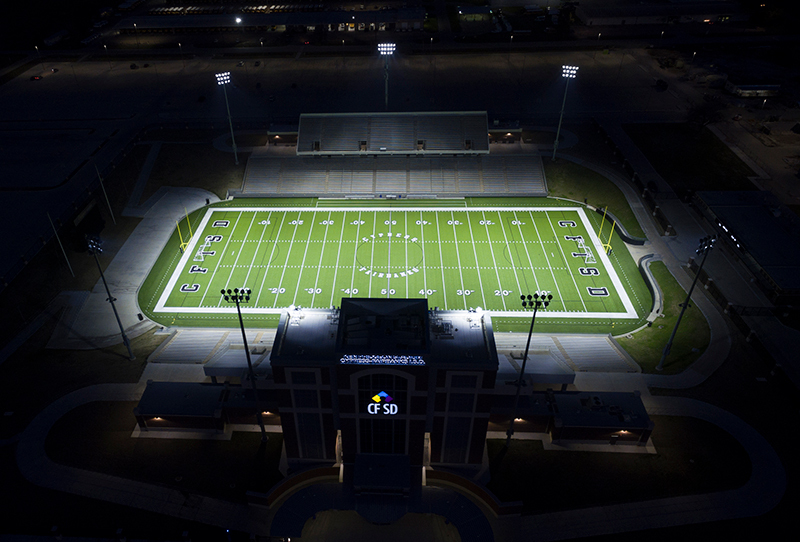 Better On-Field Visibility – the system achieves much more uniform light distribution across the field without creating glare, improving visibility for players and fans. 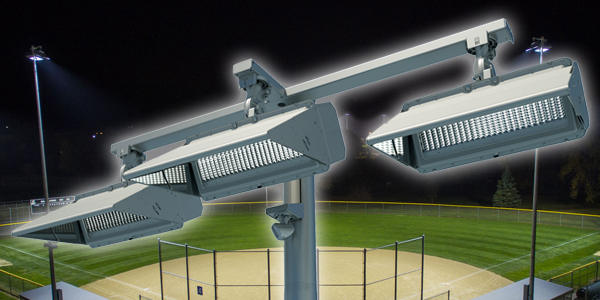 Eliminated Light Spill – TLC for LED’s superior light control capabilities eliminates light from spilling into the area immediately surrounding the stadium. 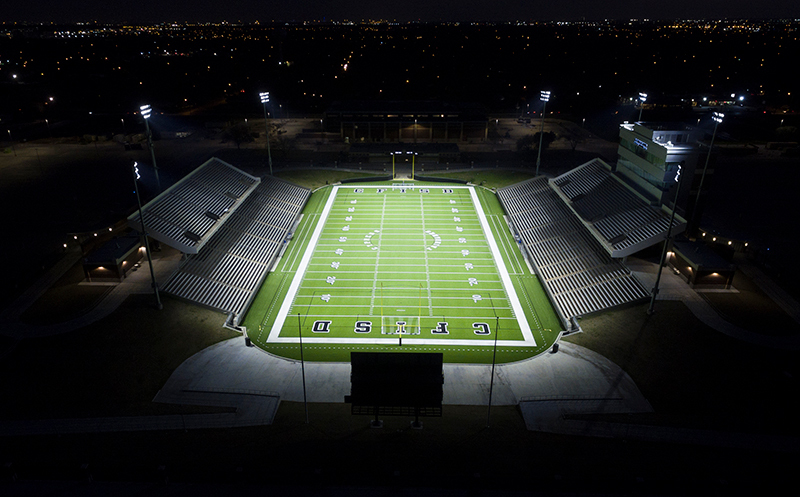 Improved Energy Efficiency – the new lighting has greatly reduced energy consumption at the stadium, and will reduce CO2 emissions by 721 metric tons over the next decade. 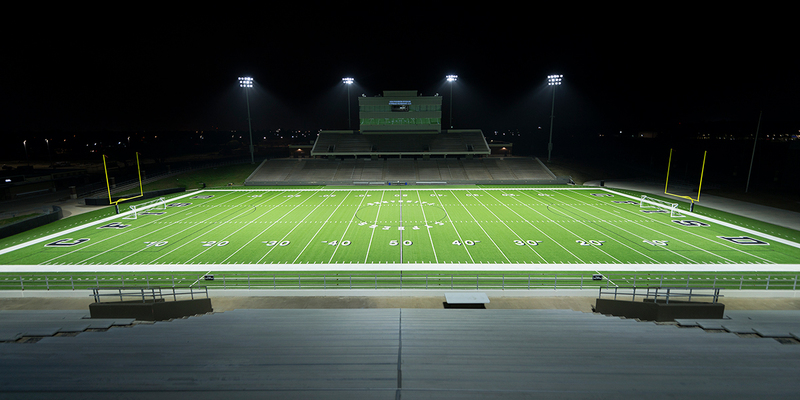 Zero Maintenance – with Musco’s long-term parts and labor warranty, CFISD won’t have to worry about maintenance of the lighting, or pay for it, for 10 years. Reduced Operating Costs – between the improved energy efficiency and elimination of maintenance, CFISD will save more than $148,000 over the next decade. 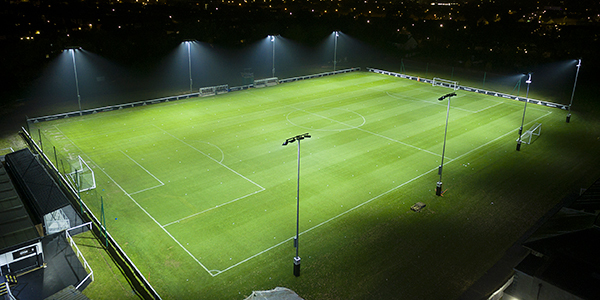 In addition to not having to worry about maintenance issues or re-lamping, Musco also guarantees light levels at the stadium through the duration of the warranty.